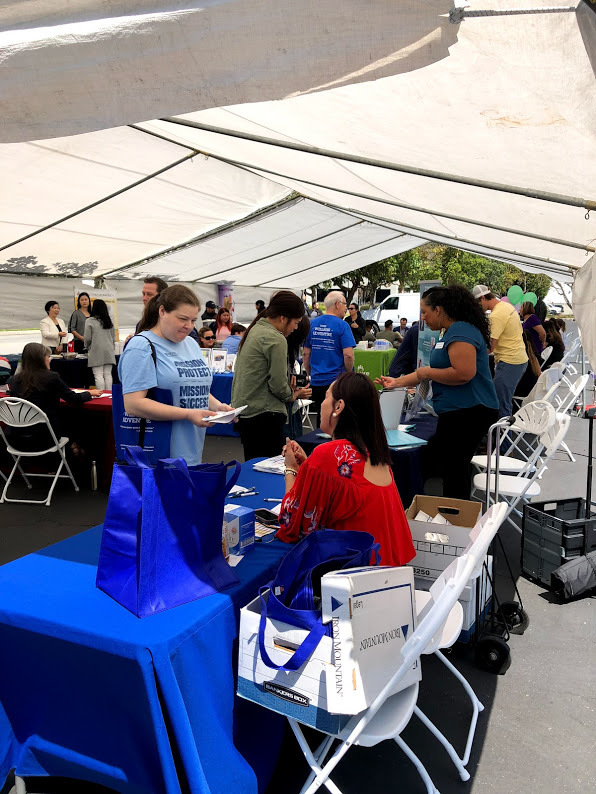 Thanks to everyone who attended our 2018 Wellness Event! Its a wrap! twentytwenty's 2018 Wellness was a big success. Turn-out was great with around 100 people taking advantage of all the free screenings, great info and prize drawings. Promoting Wellness is a cornerstone of twentytwenty’s mission. We believe that education is the most important tool to increase the health and happiness of your employees. We also believe that healthy and happy employees will help your bottom line. And that's not just talk - its how we do business. H.R. 1, the “Tax Cuts and Jobs Act”—P.L. 115-97 was signed into law by President Trump on December 22. The law impacts the maximum an individual can set aside in their HSA bank account for 2018 if they are covering their family. On May 4, 2017 the IRS (Revenue Procedure 2017-37) released the inflation adjusted HSA contribution limits for 2018. At that time the maximum individual pre-tax contribution (employee and employer combined) was $3,450 with the family maximum of $6,900 (employee and employer combined). H.R. 1/P.L. 115-97 included a provision dealing with the Consumer Price Index (CPI). Under the new law CPI was changed to C-CPI-U. The term ‘C-CPI-U’ means the Chained Consumer Price Index for All Urban Consumers (as published by the Bureau of Labor Statistics of the Department of Labor). This change has impacted the adjustment made to HSA contributions for 2018. On Monday, the IRS released Internal Revenue Bulletin (IRB) 2018-10. In that bulletin, the IRS lowered the maximum family HSA contribution for 2018. The individual maximum HSA contribution for 2018 has remained unchanged at $3,450 however the family maximum was lowered to $6,850 from $6,900. Please be sure to adjust the per paycheck contribution for anyone electing the maximum family amount to the $6,850 for 2018. We know you don’t have time to keep up with the fast-changing world of benefits. So, we offer you clear, concise summaries of news you can use, honed down to the salient points to save you time. At twentytwenty, we do whatever it takes to bring complex insurance issues into focus for you. It’s just the facts, but if something peaks your interest, we’re at the other end of the telephone, ready to provide greater detail! Last Thursday President Trump signed an executive order directing federal agencies to investigate 3 specific items. While the order does not implement regulations, it established a timetable for the federal agencies to report back to the President the feasibility of enacting these provisions. Association Health Plans (AHPs) - Within 60 days of the order, the Secretary of Labor is to review the ability for small employers to form AHPs. The Secretary is to consider ways to promote AHPs on the basis of “common geography or industry”. This is intended to allow small employers to come together to self insure or purchase fully insured coverage across state lines. Short Term, Limited Duration Insurance (STLDI) - Also within 60 days of the order, the Secretaries of the Treasury, Labor, and Health and Human Services are to consider the expansion of short term health insurance to allow for longer coverage periods and ability for these plans to be renewable. Health Reimbursement Arrangements (HRAs) - Within 120 days of the order, the Secretaries of The Treasury, Labor, and Health and Human Services are to review the viability of expanding HRAs. The intent is to allow employers to contribute more to their employees’ HRA account. HRAs are similar to Health Savings Accounts (HSAs) allowing for pretax savings reimbursing employees for out of pocket expenses such as copays, deductible and coinsurance. With HRA plans unlike HSA plans, only the employer can contribute to the account and the money does not stay with the employee if they leave the company. First, nothing will happen for employers with January 1, 2018 or earlier renewals. What is important to us and our clients? Lowering health care costs, lowering health insurance premium, providing access to affordable health care; all of these issues are at the root of a sustainable health care system in the United States. Bringing small companies together and being able to sell across state lines will not lower health care costs. Expanding HRA and Short Term plans will not impact underlying health care costs. The vast majority of cost associated with health insurance (whether fully insured or self insured) is from the medical claims paid. Regardless of where an insurance policy is written, the cost of care is local. It comes back to 2 basic premises—what is the cost of care and how many units are purchased. Until we see meaningful outcomes data and price transparency, it is unlikely we will see lower costs. Thanks everyone who attended the October 2017 ADP Breakfast Briefing! This year we covered self-insurance which, as some of you may know, is a passion of ours. The presentation explained how self insurance can save your money and let you take control of your health benefit spending. We also talked about some strategies to mitigate the risks of self-insurance. If you missed it, you can find the presentation here. Self-funded Health Insurance- Are You Overpaying and Throwing Away Thousands of Dollars? Interested in self-insurance? Think your company is too small? Check out the Breakfast Briefing on Oct 4. I will be co-presenting a seminar discussing strategies for many small and medium sized companies to reap the benefits of self-insurance. This event is FREE if you have registered in advance. If an employer gathers health information through a voluntary health risk assessment or biometric screening, they are required to provide a notice to their employees. The purpose of this employee notice is advise the employees that the program is voluntary and that their personal health information will be kept confidential. 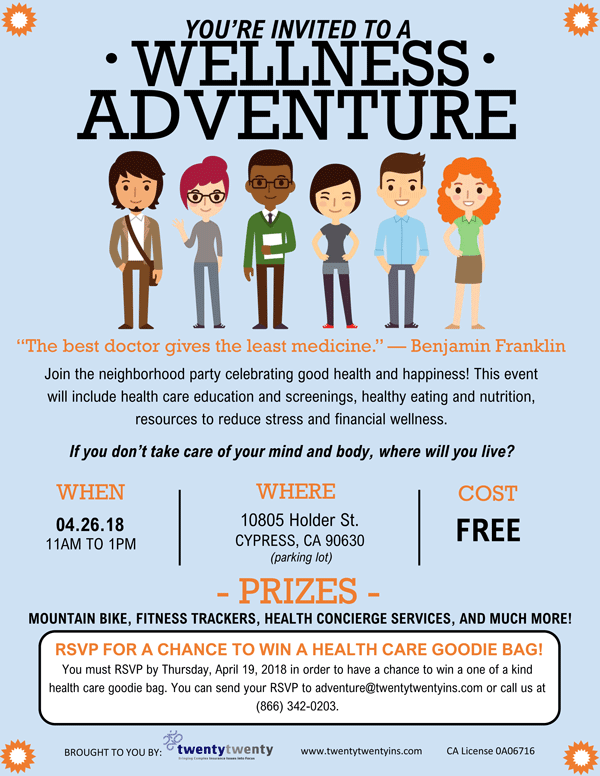 The notice is to be provided to the employee before they are to provide health information and with enough time to decide if they want to participate. The EEOC rules do not provide a specific advance notification requirement. The rules also do not mandate how the employer must distribute the notice however the subject line must be clear. The EEOC Q & A on this ruling provided an example of “Notice Concerning Employee Wellness Program”. The notice can be provided through e-mail or by hard copy. As more and more employers introduce and expand their wellness programs, it is important to keep in mind the notice requirement to determine if their employees should be provided with the notice. Dariella Gonitzke of Eat Freely Nutrition, a licensed dietician presented great information on how we can live a healthy life through the food we eat.